92. Human Resources Management: Identifying & Developing Key Employees – How to Shape Human Behavior. 00:01:20 With each career step and moment in your life, humans develop quickly and learn alot at the beginning, however as you progress you get better slowly, and so must move on to the next step to once again approach learning something new. 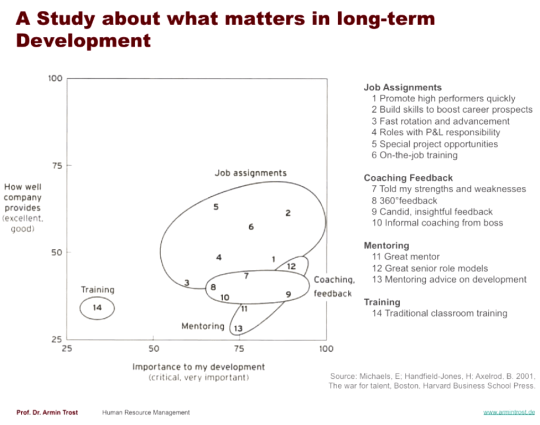 00:02:30 For EVERY activity there is, there is a predictable learning curve. Potential – theoretically, there is an invisible maximum level which you can achieve, regardless of competence. This level differs from person to person. If everyone invested an equal amount of time on one subject, there would still be a hierarchy of competence and skill. Right from birth your potentials and talents are defined for you in your DNA. If your individual potential for an activity is very, very high, then we call it a talent. Talent means that you have at least the chance to excel extra-ordinarily well in an activity. This means that your talent must be identifed and then trained. 00:05:54 Potential is, then, the difference between your current skill, performance level and talent and where you could achieve if you use all of the appropriate means available, and if you are lucky. There are thousands of people all over the world which have the potential to become a professional in a particular activity, but they will never have the chance to reach this level because their talent will never be identified or because they don’t have what is needed to develop their talent. 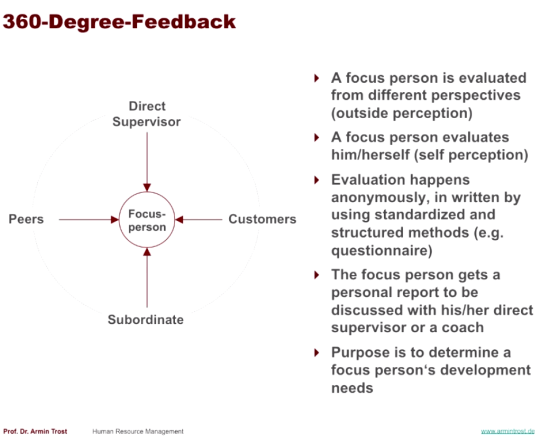 00:07:30 How can human resources assess the potential of each and every employee? 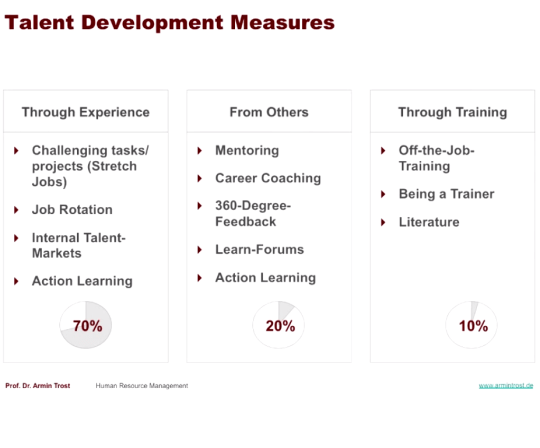 Ideally, a company would promote the person who demonstrates extraordinary growth and ability by learning and improving his or her skills the quickest, assuming that this growth and talent will continue into the future. 00:12:27 Ideally, a company will promote the person who surfaces as a natural leader and whom people listen to and look up to and go to for questions and problems – the one who serves as the company’s ideal role model for others. 00:14:17 Ideally, a company will promote the person who is not only motivated and hungry for more, but takes the initiative and begins doing it before he or she is asked to. 00:17:00 Intelligent kids with high potential forced to learn in a typical class with other less intelligent kids are underchallenged. The teacher either doesn’t see the student’s potential, or does but cannot adequately address it. People with high potential but low performance are likely demotivated, dislike their current job, team, or boss or boss’s management style. This person is working for the wrong manager. 00:18:40 “Work horses” is the term used for people who consistently exceed expectations, yet lack the potential to do better or handle more responsability. They have reached their full potential and there is no more room for improvement. With this kind of employee, the best action is to keep him or her where he or she is. …because generally people have financial responsibilities and family obligations and so want a job and want to work. 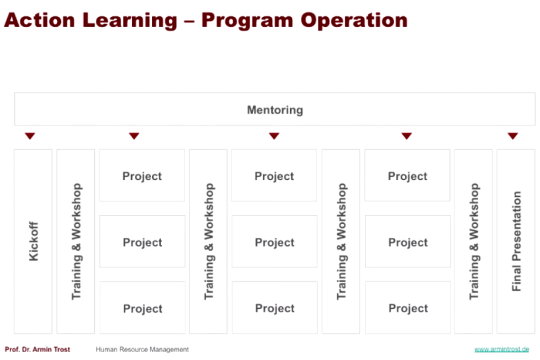 00:20:47 People with great potential and high potential usually undergo a more comprehensive assessment of the person’s strengths and weaknesses and then further trained and developed for future roles within the organization. 00:28:30 Your customers are the ones who live and work with – and therefore benefit or suffer from – the result of your employees. 00:35:41 Research Fellows – the equivalent of professors inside of a company – are highly-respected, highly-intelligent and autonomous people within an organization who are free to work on whatever they wish. 00:38:20 ‘What is my talent?’ is the most important question you must answer for yourself. Some people are fortunate enough to realize this early in their life, while others struggle with this question their entire life. 00:44:50 You cannot hide yourself and expect people to find you. It is imperative to your success that you actively build strong networks – strong and loose ties and sell yourself. Also, it’s also not about who you know, it’s about who knows you. 00:45:00 People don’t have to like you, but do they like to work with you and benefit from you? Find and work with other high potential people. 00:47:30 Work with people who compensate for your weaknesses. Robbie Williams is an excellent singer and entertainer, however he isn’t a strong song writer, so he always works with people who are excellent song writers. So Williams collaborated with Gary Barlow and others who where strong where he was weak. 00:50:00 As a rule of thumb, common belief is that people develop their talent through experience, from others, and through training. 00:51:10 A mentor is a more senior person you belive to be wise and competent and who you allow to guide and teach you and give advice in exchange for money, prestige, etc… There is a mutually beneficial relationship between the mentor and the mentoree. A coach doesn’t give advice. Instead, he or she simply asks questions, forcing the person being coached to articulate and answer the questions clearly. 01:16:07 Action leaning is a combination of training and practical work. I receive input and knowlege, and I reflect my knowlege into a very precise situation. Posted on April 12, 2015 January 17, 2017 by Joshua SMITHPosted in videosTagged Armin Trost, hochschule, human resources, startups, talent development, videos, youtube.